First, a look at the functional principle of such a PV system. 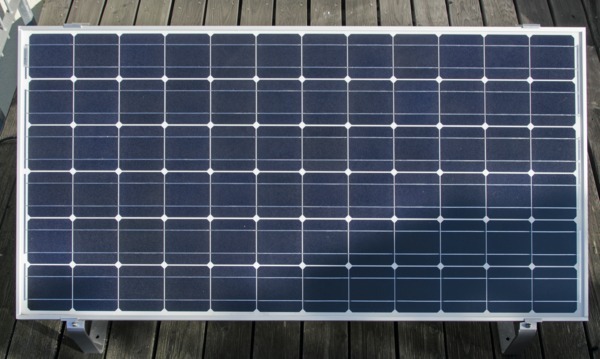 The actual solar cells, which convert light into direct current, sit in a PV module from mass production – products that are also used in larger systems. This also applies to the inverter, which converts DC into AC and adapts its voltage, frequency and phase exactly to the respective mains voltage. He has to do that safely, very precisely and with high efficiency. 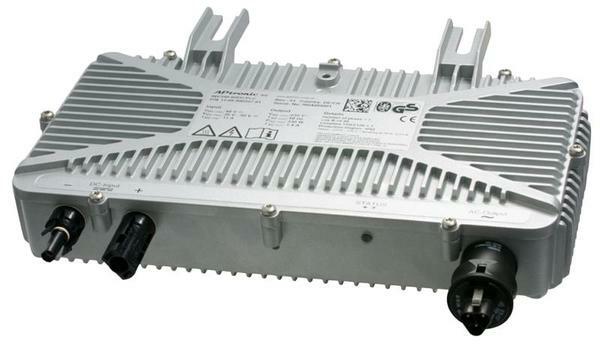 Compact “Microinverter” with 240 watts of peak power is available for less than 20000. 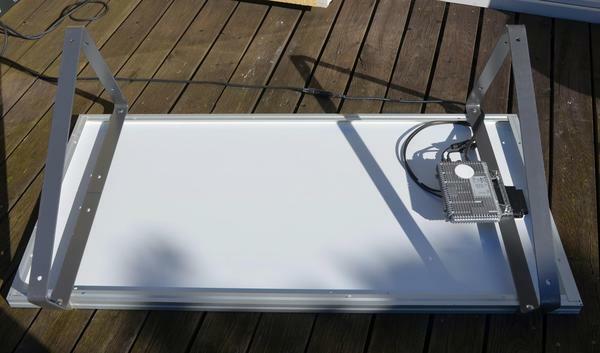 A 195 watt module has an area of 1.3 square meters and weighs 15 kilograms. The sparkling idea of the mini-PV systems is simply to connect standard solar modules via inexpensive microinverters directly to the existing power grid of the house or apartment. In the simplest case, this works via an ordinary earthing contact (Schuko) socket. If the microinverter works without errors, it will not shock the user: it switches off when it is not connected to the 230-volt network, because precise network coupling is exactly its purpose. 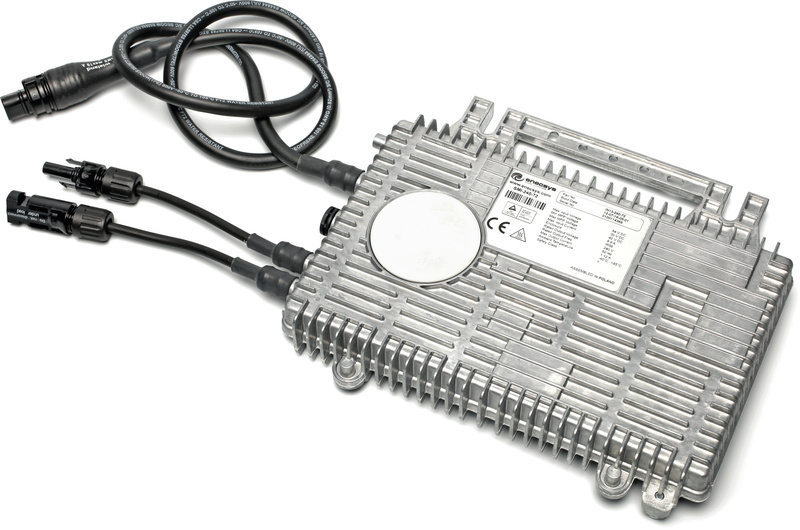 The inverter converts the direct current generated by the PV module into alternating current. This model of Enecsys lacks the required NA protection for safe shutdown in the event of power failure or network faults. The control functions of the inverter ensure that energy flows into the house network as soon as the sun is shining. Ongoing consumers – consumer electronics in standby mode, wireless router, refrigerator, heating control, telephone system and much more – use this energy and the electricity meter runs slower. The amortization calculator on the website of the company Minijoule promises that the set “Minijoule Single” within eight years, its acquisition costs. In practice, this goal should usually be achieved later. Some amortization calculator sets maximum yields and high electricity prices, but neglects costs for shipping and connection. The inverter hangs on one of the two mounting brackets of the PV module with two screws. If the solar system fails before it recovers its price, its owner loses. Therefore, the warranty period should be longer than the amortization period. If a repair is necessary, the already mentioned shipping costs can significantly delay the amortization. And if dealers or manufacturers disappear from the market, the guarantee threatens to lose their value. Therefore, it is advisable to buy PV modules and inverters from established companies and not from unknown eBay vendors or even abroad. In order to assess the amortization period meaningful, you have to include all costs. Already for the shipment of the large and heavy package with a 195 watt panel will be just under 5000 due, which extends the amortization by a full year. In order to recoup the costs for the professional connection by an electrician, a system that is so weak needs several years: a single hour’s work of an electric master costs more than 5000 including GST, plus the craftsman’s material and directions. The effort depends on the situation on the ground, but if you assume, for example, only 20000, then the amortization takes four years longer. Those who carry out the electrical connection themselves must work very carefully – after all, the wiring has to withstand wind and weather for more than a decade. A loose laid rubber cable will hardly do that. Depending on the installation site, fire and lightning protection must be considered. Anyone who violates regulations risks his insurance cover. This can be extremely expensive, especially in the case of fire. 70 percent of the solar harvest occurs in the months of April to September, in winter the sun is lower. If the actual yields of the PV system are lower than estimated, the amortization takes longer; that’s why you should monitor the yield with a separate meter. It depends not only on the geographical location, but also on optimal south orientation and slope. There must be no shadow on the panel and the weather must play along: In cloudy conditions, the yield drops to a fraction of the peak value. In the winter months, the sun is so low that only little energy comes in. At night, PV systems have low self-consumption, so they consume even electricity: the inverter continues to monitor the grid and module. The Association of Electrical Engineering Electronics Information Technology – in short VDE – warns urgently before the connection of power generators to “final circuits”, so for example via Schukosteckdose. Accordingly, the risk of fire by overloading of lines and the influence of IN ANY FI-switch (now called RCD) can cause dangerous electric shock. Plug for 230 Volt voltage with contact protection. Some providers of mini-PV systems are of the opinion that VDE standards have no legal force and can therefore be disregarded without any consequences. However, § 49 of the Energy Industry Law requires that energy systems comply with “generally accepted rules of technology” and also mentions technical rules of the VDE. According to VDE 0100-551, feeding into final circuits is not permitted. 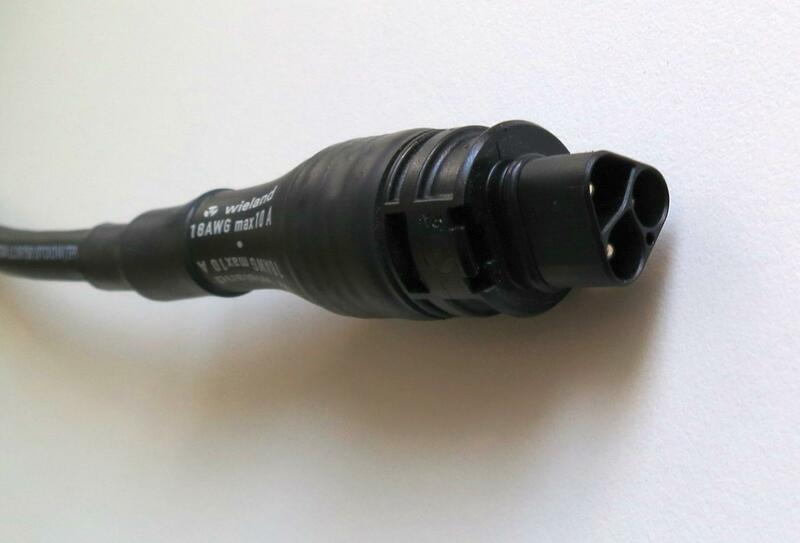 A safe but expensive solution would be a separately secured line from the power distribution to a socket for connectors with contact protection, such as the Wieland type RST20i3. AEconversion also supplies the micro inverter type INV350-60 with integrated NA protection. But PV systems that feed electricity into the home network must comply with other standards in this country. In 2011, VDE-AR-N-4105 was published for power generators on the low-voltage grid. It also sets minimum requirements for small systems. The most important is a so-called network and system protection (NA protection): In the event of overvoltage or undervoltage, power failure or abnormal network conditions, the power generator must shut down, reliably, quickly and “failsafe”, even in the event of partial malfunction of the protective device. Nevertheless, some manufacturers supply mini-PV systems with cheaper inverters without VDE-compliant NA protection. For some vendors, you can order inverters like AEconversion’s INV-350-60 with “integrated NA protection” – for a surcharge of 50 to 100 Dollars, which in turn extends the amortization period by one to two years. Even externally, the NA protection can be retrofitted as a “central NA protection”, which already costs 300 to 500 Dollars without installation. The solar power fluctuates drastically during the day, here the yield of a plant with 540 Wp from 15 June. 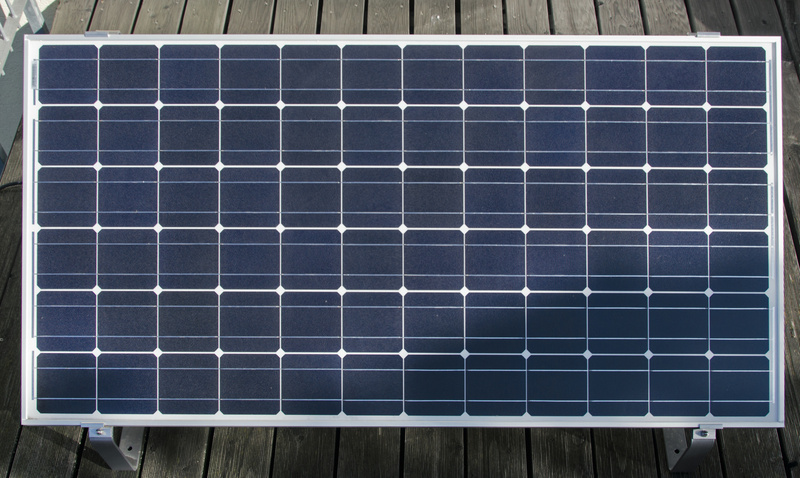 Many providers of mini PV systems advertise with concrete percentages of annual consumption, which can allegedly be saved thanks to solar power. However, in practice, both the power consumption of the devices connected in the household and the production of the solar cells fluctuate constantly and independently of each other. Without continuous measurement of the consumption at the house connection and the feed of the inverter, no precise statements are possible. 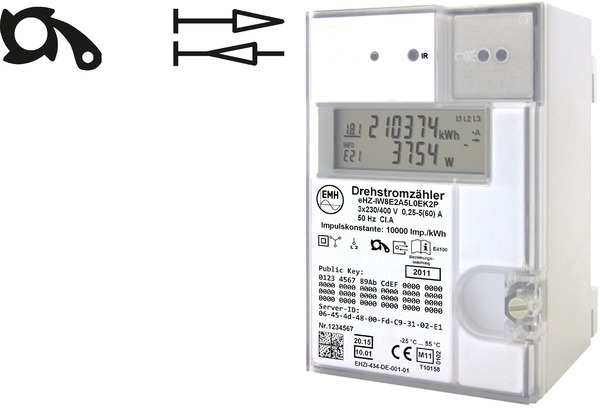 Electricity meters with backstop (left) or with separate counters per direction (right) carry special symbols. 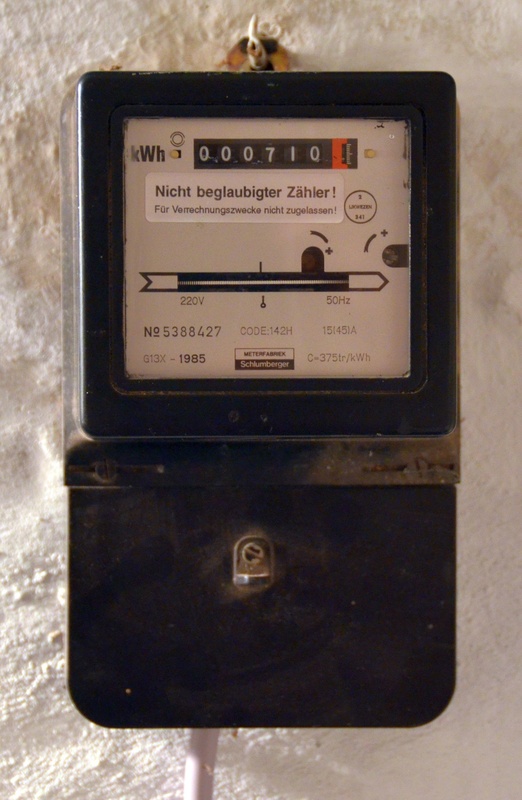 The cheapest protection against annoyance is in an electricity meter with backstop; equipped with a unique symbol. Then unfold kilowatt hours but no more savings. If the overproduction occurs frequently, the time to the amortization of the PV system is extended. If there is no backflow inhibited counter, it can be installed by the measuring point operator for a fee. However, the company may then ask for the purpose of meter replacement or press for compliance with TAB. In the course of the market liberalization, the grid operator became “responsible” for the operation of the meter and not the energy supplier; the two roles must not be in the hands of a company. Reverse running of the meter could also be prevented by an electronic control which reduces the inverter’s production at low load. But an inverter with control input would be necessary, a control box and an electronically readable energy meter or a power meter. The company AEconversion wants to bring such a system on the market, but does not yet call a price. The Federal Network Agency has come to the conclusion that non-return counters are insufficient. These “lead to infeeds that are not recorded by measurement, without these being assigned to a specific balancing group”, as network gatekeepers have to consider at the request of c’t. A permissible solution would be a counter with two counters , which separately capture feed-in and power consumption. Although such a bidirectional meter causes additional running costs for rent and meter reading, it also brings advantages to the plant operator: Even mini-PV systems are entitled to feed-in tariffs under the Renewable Energy Sources Act (EEG). Because of the low feed amounts but this will probably cover the maximum cost of measurement and also you have the paperwork on the leg, which should actually avoid the mini-systems. A battery buffer could prevent the electricity meter from running backwards and increase self-consumption: If the sun supplies too much electricity, it first flows into the storage tank and only later into the grid. However, systems such as Bosch BPT-S5 or Nedap Powerrouter cost several thousand Dollars and require maintenance because the batteries wear out. Cheaper systems are currently ineffective and have short warranty periods, which is why their impact on the efficiency of mini-PV systems can not be reliably assessed. With a 195-Wp set from the company Minijoule (Minijoule Single), we have put the sample to the test and put it into operation on May 12 in Hanover on a south-facing balcony. By mid-August, it harvested about 40 kilowatt hours (kWh). Calculating 26.5 cents / kWh, that’s 10.60 Dollars in three sunny months – much less than previously estimated. It is probably due to a tree that casts shadows on the solar cells in the morning. But mounting and connection of the PV system is also fraught with pitfalls. Although the wiring of the module and inverter was just as easy as the screw connection with the included mounting brackets. However, for the system to work reliably for 10 to 20 years, it must be carefully and thoughtfully applied. The 1.3 square meter module weighs over 15 kilograms and causes high wind loads during storms. If it crashes, deadly accidents and expensive damage, such as parked cars, are in danger. As surprisingly difficult in the test household, the introduction of the cable into the house, because there was no connection on the balcony. A hole through the wood-aluminum frame of expensive insulating glass windows was out of the question, even the house wall had been isolated consuming only a few years earlier. Finally, a cable was thrown down the house wall to a basement window; This ugly botch solution should only work for a few years, but it was only about a test. The amortization of small PV systems succeeds only under ideal conditions within acceptable deadlines: You need an optimal location and the necessary knowledge to perform professional installation, monitoring and repair yourself. If you have to pay except for shipping and NA protection also for meter replacement and installation, then the saving begins but only after the expiration of the warranty period – if no breakdown occurs. The operation of a PV system is always a bet on the future. Shadows, bad alignment or unrecognized defects lower the yield. Professional installation, maintenance and long warranty periods increase the chances of success. Against hail, lightning or theft, only a professionally installed system can be insured. On a secretly operated mini-plant, the relevant standards violated, however, threaten additional risks. If you let the electricity meter run backwards, you are even threatened with serious mail from the prosecutor. The legally correct connection with NA protection via a bidirectional meter can only be profitable if the feed-in tariff is added to the already mentioned ideal conditions. But for a weak mini-system, this effort is hardly worthwhile; It saves you on a larger system that can be installed by a specialist. If you take a look at photovoltaics to reduce your high electricity bill, you should first take another tip: it is often cheaper to cut power consumption by using more efficient equipment or consistently switching off.